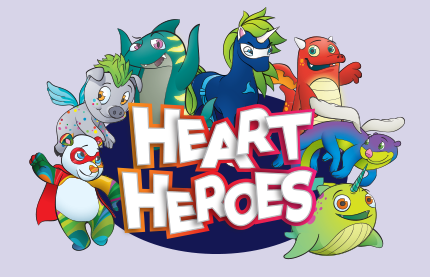 Yesterday the kindergarten through fifth grade students received a fundraising packet, sticker to color, and heart hero tattoo. We have started our jump unit, learning different ways to have fun and keep our hearts working hard while jumping. They have the option to join the kids heart challenge in fundraising to help the American Heart Association or taking on ways to challenge themselves in getting sixty minutes exercise a day, doing a good deed daily, or choosing water over sugary beverages. We are continuing to learn ways to keep our hearts healthy and are doing are best to help save lives. They are excited about this unit and may need your help to participate. The packet explains what they need to do and bring back. Thank you for your help! Each heart hero has a message to remind us of ways to keep our hearts healthy that is posted in the gym. Packets must be turned in to Ms. Lamb or the St. James office by this date and no later, in order to be sent in for prizes.